Once a tree is removed, the stump is left behind. In most cases, you’ll want to grind the stump eight to twelve inches below ground level to allow for the planting of grass, shrubs, or a new tree. If the tree was very large there may also be outer roots at or above ground level that need to be ground. This will be discussed during our initial inspection where the scope of work and the costs involved will be clearly indicated. 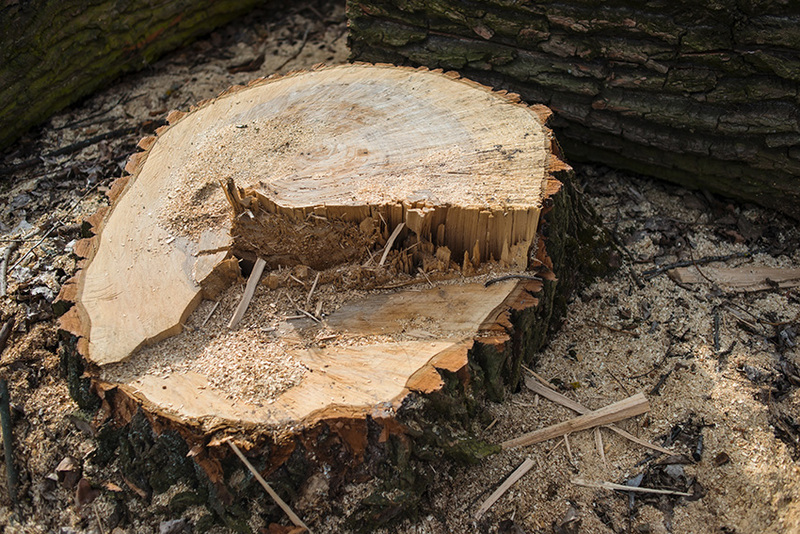 Rich Tree Service also offers finishing landscape services which include removal of the stump grindings and spreading soil and seed or sod. If you’d like a replacement tree, we can do that, too. Stump grinding requires the use of heavy equipment. Our professionals will take the following precautions to help ensure that the surrounding areas are not damaged. We do ask you to note that while precautions will, in most cases, prevent any evidence of tree removal, it’s possible that some very shallow ruts might be visible for a short period of time. These usually disappear within a few weeks. Whatever decisions that are made, rest assured that Rich Tree Service will always put the safety of you and your property ahead of any other factor. The goal of grinding a stump is to prepare an area for landscaping. Please be aware that Rich Tree Service is not responsible for the restoration of the landscaping or clearing away of the resulting mulch/sawdust. 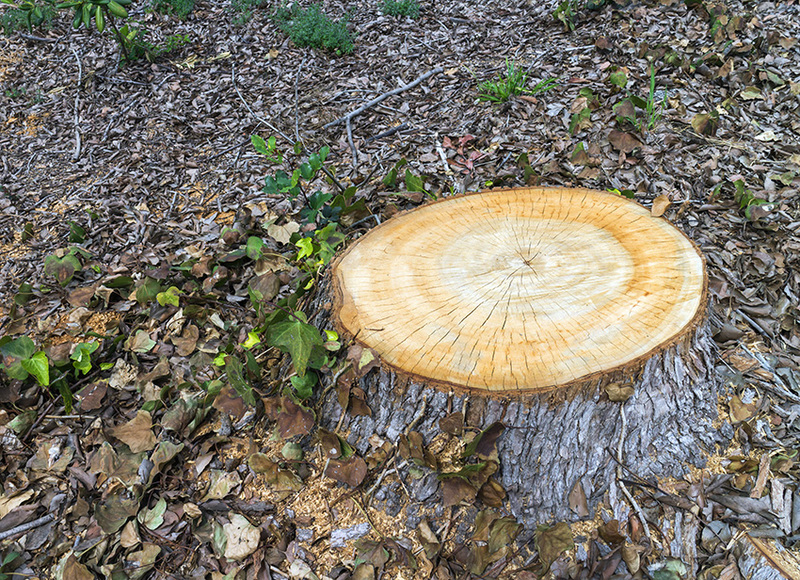 When we complete the stump grinding, the area will be ready for you or your landscaper to clear. The amount of mulch/sawdust will be dependent upon the size of the stump. Another sustainable option is to spread the resulting mulch in your flower beds, as needed. If you’d like us to take the mulch away, we can do so for an extra fee. If you have any questions, please call us a 908-941-0063. One of our representatives will be happy to explain the process and what you can expect.